Hi everyone, Michelle here. 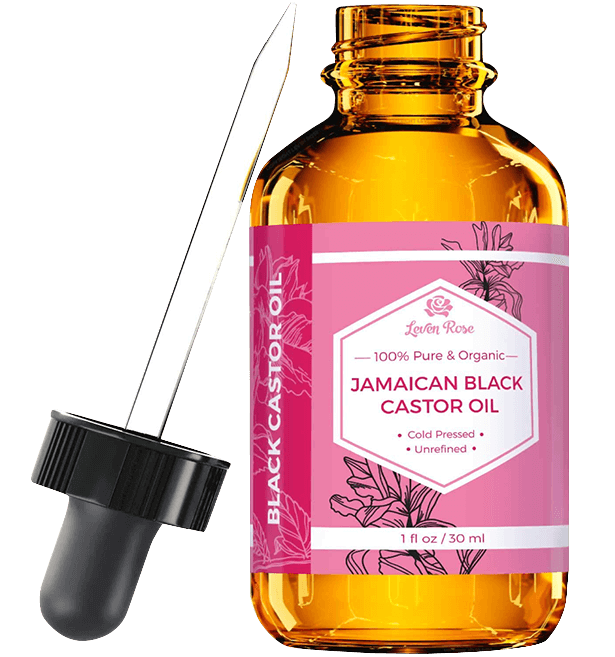 Today I will be reviewing the Leven Rose Jamaican Black Castor Oil. I got this bottle about two weeks ago. I heard great things from friends about this product so I thought I’d give it a try. After using it for two weeks, here’s my review. The product was delivered right on time and it came in a small box the same size as a perfume box. The bottle isn’t wrapped in anything but I think it’s ok since the amber glass bottle seems durable. It comes with a glass dropper cap, a great way to dispense the product easily without making a mess. 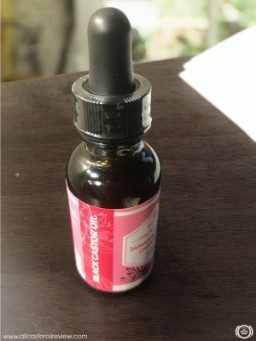 It’s better to use caps with glass droppers since you don’t have to wash them every time you use the oil. There is a tamper-proof seal wrapped around the cap that tells me the products was not opened from the time it left the manufacturer. The product is a bit smaller at only 1 fl. oz. but that’s alright. The smaller size of this Jamaican Black castor oil is just perfect since I can bring it anywhere with me. I like bringing oils that come in handy containers so I can always use it while I am on the go. I tried rubbing the oil between my fingers and it has a very thick consistency. It is definitely thicker than cold-pressed castor oil. 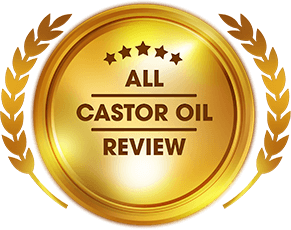 Compared to cold-pressed castor oils I’ve reviewed in the past, Leven Rose’s Jamaican Black castor oil has a darker, deeper yellow color. It also has a slight roasted scent that almost smells like charcoal or a smoky pile of burnt leaves. Honestly, I liked how the product smelled. The roasted scent is not overpowering. For me, when castor oil has an organic scent like this, it is safer to use than an unscented oil. Unscented oil usually means it has been refined. I tried rubbing the oil between my fingers and it has a very thick consistency. It is definitely thicker than cold-pressed castor oil. The product is quite thick but not as viscous as honey and it doesn’t leave a sticky residue after I applied the oil. I don’t recommend applying it to your skin undiluted because it is very potent for skin. You should mix it with lighter carrier oils like almond oil. Since the product didn’t come with accessories like mascara wands and eyeliner brushes, I think that it’s not meant for eyebrow or eyelashes application. What I noticed when I started using this hot oil treatment instead of deep conditioners is that my hair became really soft. 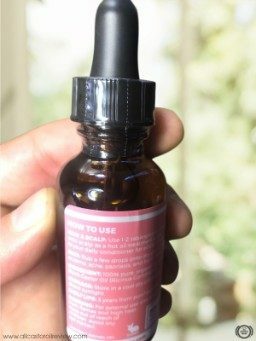 When I read the label, oil is only recommended for hair, scalp, and skin use. It didn’t mention any usage for eyelashes and eyebrows. According to the instructions, you can use it directly on specific areas of your skin that feels dry. Because the oil is very thick, I thought I could try it out on my dry heels. The first application wasn’t that bad. I only used two drops of the oil and it covered one heel. There is a thick, sticky feeling at first, but it goes away as the oil absorbs into the skin. I suggest you put your feet up so you don’t make a mess. Roasting the beans does not only make the oil darker. It increases the benefits of the oil for your skin and hair too. 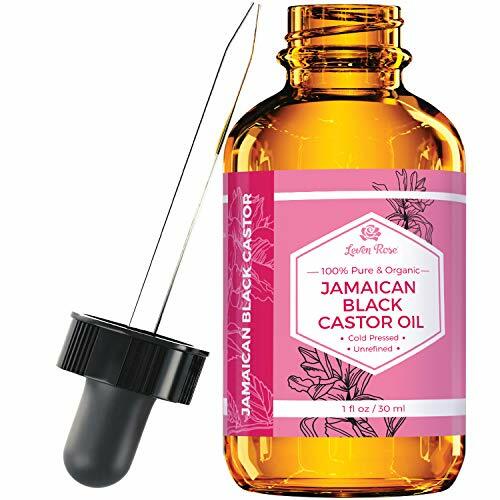 I tried using Jamaican Black castor oil in an at-home hot oil treatment. This kind of treatment is great because of its moisturizing effects. When I used the oil for my DIY hot oil treatment, I wet my hair with lukewarm water first. I squeezed out the excess water and left my hair damp but not dripping wet. Keeping hair damp helps lock in moisture without risking breakage. Since I have curly hair, I don’t like applying oils when my hair is dripping wet since it tends to feel really heavy. I applied the oil to my hair starting from the tips going to the roots. I use this method because it is easier to detangle curly hair this way without causing too much breakage. The oil feels great on my hair. I can already tell that it will really make a difference in terms of texture and shine. After working all the way up to my hair roots, I massaged the oil to my scalp and wrapped it with a warm, wet towel. I removed it after 15 minutes. I did this every other night for two weeks and was really amazed at the results! My hair was softer compared to when I only use deep conditioners. It is easier to manage too. My hair looked a lot shinier and smoother. It became easier to manage too without tangles getting caught up when I finger brush my hair. 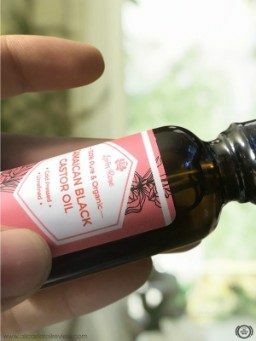 Overall, the oil is really great because I can use it for my skin and hair. 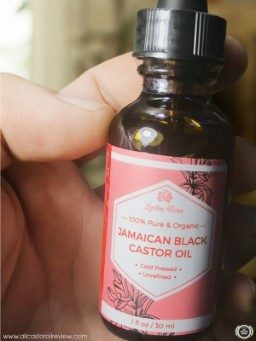 This is the first time I tried Jamaican Black castor oil and I was pleasantly surprised with the effects it has on my skin and hair. I can recommend this to anyone who needs a handy hair serum. I only used the oil for two weeks but it made a big difference in how my hair looks and feels. My heels were softer now too, thanks to this oil. Since the oil is so effective, you don’t need a lot to make it work. I’m quite pleased with the product because I noticed results even after just a week of using it. But I think it is also important to use the product regularly to completely repair hair damage. There’s only a little left of the product now since I use it for my dry heels and my hair. Leven Rose guarantees customer satisfaction and free shipping on all orders over $30. Not satisfied with the product? No worries! The brand is willing to give you a refund. You can also ensure that their products are all high quality. This is because they make sure all their products pass quality and safety tests. Leven Rose offers other natural products that use the finest and freshest ingredients. They only choose organic non-GMO ingredients in making products to protect your skin and hair. Their collection features various oils that have uses for skin and hair care routines. 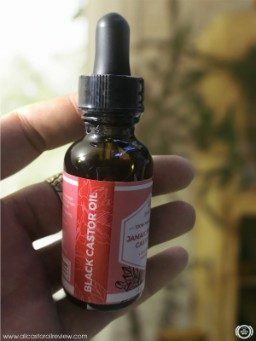 Beard care products such as oils and brushes are also available. The founders of the brand believe that you should not use products that expose your body to harmful chemicals.